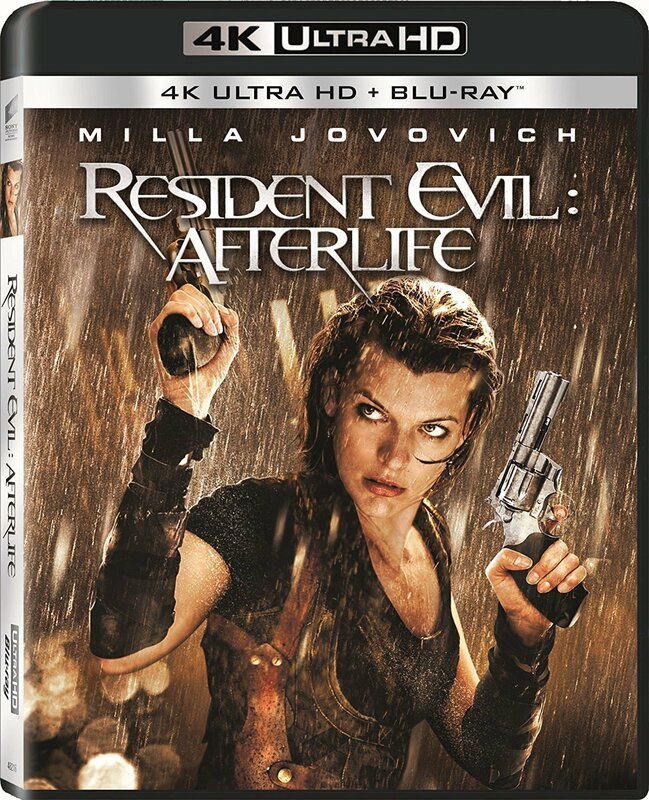 Synopsis: After a one-woman assault on the Umbrella Corporation's fortress, Alice's (Mila Jovovich) superhuman abilities are neutralized. Now, fleeing the Undead masses created by the T-virus, Alice reunites with Claire Redfield (Ali Larter) and her brother, Chris (Wentworth Miller). Together they take refuge with other survivors in an abandoned prison, where a savage zombie mob stands between them and the safety of "Arcadia." Escaping these bloodthirsty mutants will take an arsenal. But facing off with Albert Wesker and the Umbrella Corporation will take the fight for survival to a new level of danger.